← Gaye Chan in Minneapolis!!! 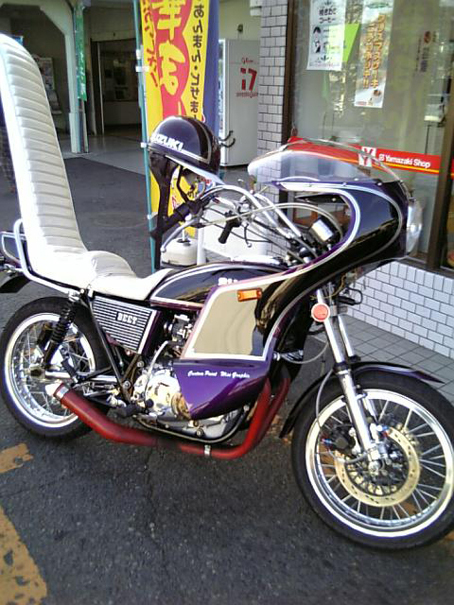 I love seeing people custom make their possession such as bike, bicycle, car, clothing, etc… and it is even more interesting to see when their aesthetic principles override the original function and contexts. 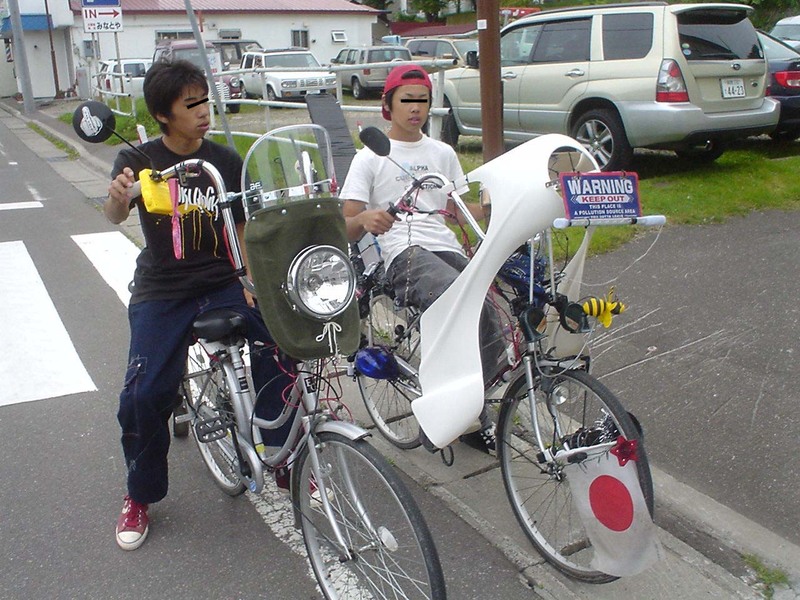 Kids putting some motorcycle custom parts on their bicycle. 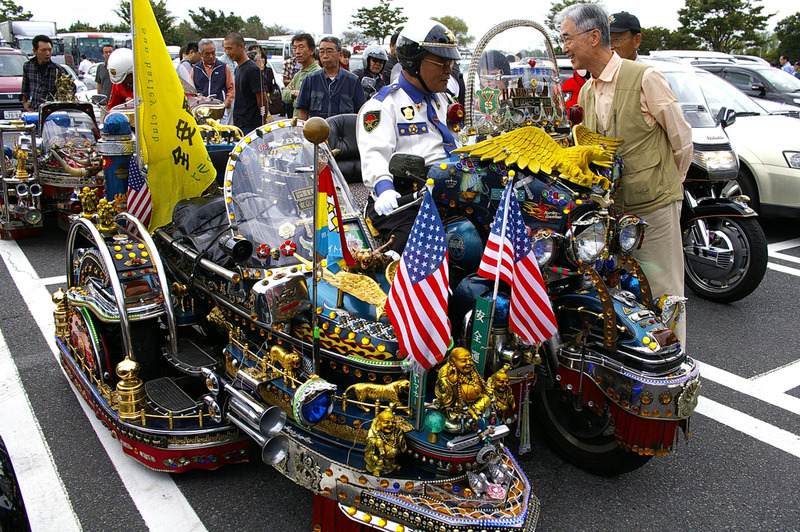 Beautiful Japanese motorcycle gang bike. 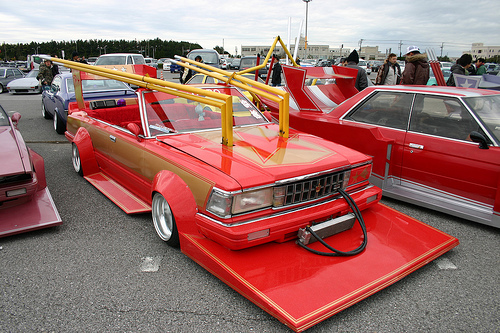 The idea of aerodynamics and comfort are out the window. I thought it was Gundam.